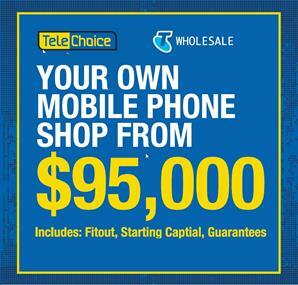 TeleChoice gives you the opportunity to own: YOUR OWN MOBILE SHOP FROM $95,000 Includes Fitout, Guarantees, Starting and Working Capital. Cranbourne Park Shopping Centre located at the gateway to South Gippsland and servicing a large corridor in the South East. Prime Kiosk space is available in this popular regional shopping centre. The initial training is up to 8 weeks. More important is the ongoing support in our very dynamic industry. Quarterly training sessions & meetings are held to update Licensees on all new mobile phone releases and exciting new products, plans & services. Sales orientation is absolutely necessary. Excellence in customer service is a given. Ability to train and lead your team is a must. Business Acumen and ability to manage cash flows are not optional. Passion for technology is desirable, but you don't have to be a geek. TeleChoice occupies a strong market position in which it delivers Australia's largest wholsale mobile network at aggressive market prices. 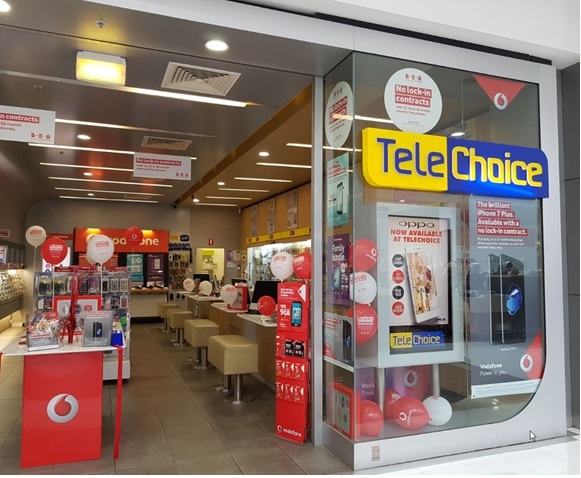 Since April 2013 TeleChoice has grown its market position as the largest Telstra Wholesale partner offering post-paid Mobile services in a retail environment. Our agreement with Telstra Wholesale allows TeleChoice to provide customers with mobile services utilising the powerful Telstra 3G and 4G network. Covering over 1.6 Million km2 of Australia with more base stations, greater in building coverage and fewer call drop outs, our market position is clear a premium network at Non premium prices. TeleChoice brand goes hand in hand with the growth of our branded retail footprint. TeleChoice Licensed Stores operate the full suite of products that customers may expect from a mobile specialist. As a specialist retailer, at all levels of the organisation, we seek to ensure our product range is relevant, diverse and comprehensive. - A nationally recognised brand and ongoing promotional activities. Become a TeleChoice Licensee today! In the years since the first store opened in 1995, TeleChoice has grown into a thriving network of over 50 outlets selling Telechoice products, and our growth is continuing. Our commitment to quality service has made us the number one independently owned telecommunications business in Australia. This means we have the ability to offer customers the latest products and the best special deals. We've been around for 20 years and still going strong.